There are three types of label-readers: never, sometimes, and always. When it comes to food, there has been quite a debate in recent years surrounding labelling. But what about other items that you buy in the store—like cleaning products? Many of us have regular brands that we buy because of the price or we like the smell or because that’s what our mothers used. They do what they’re supposed to do so we don’t think twice before pulling them off the shelf. But what’s in them that makes them work? Looking at Tide’s list of 27 ingredients (3), there’s only 2 whose job it is to “capture soil”: citric acid (the kind found in lemons and other citrus fruit) and borax (a natural mineral). The rest are “process aids”, surfactants, enzymes, and colorant, with names 20 letters long. Hmmm. Many of the typical ingredients in commercial laundry detergents pose allergy and respiratory risks to humans and pets. (4, 5) Others have been linked to developmental, cognitive, and reproductive hazards, cancer, and hormone disruption. 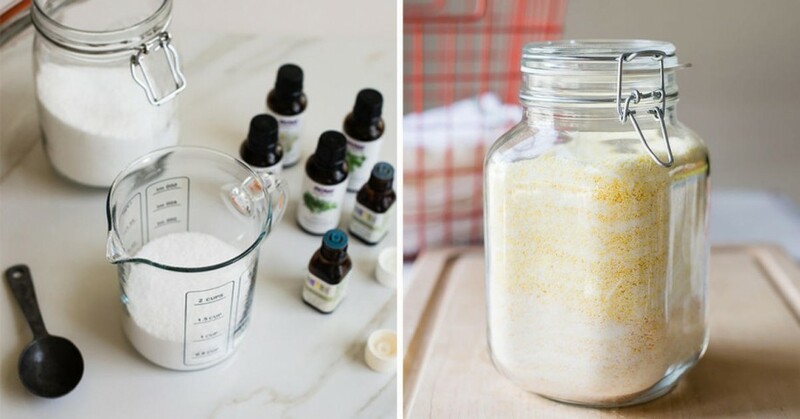 As in many cases when considering the use of commercial products, however, there are alternatives to the use of toxic chemicals in your laundry detergent: make your own with basic ingredients. It’s cheaper and safer. The following recipe calls for 2 ingredients, neither of which will kill your child or make her/him itch, sneeze, or develop cognitive disorders. The Natural Way To Get Clean Clothes That Smell Good! 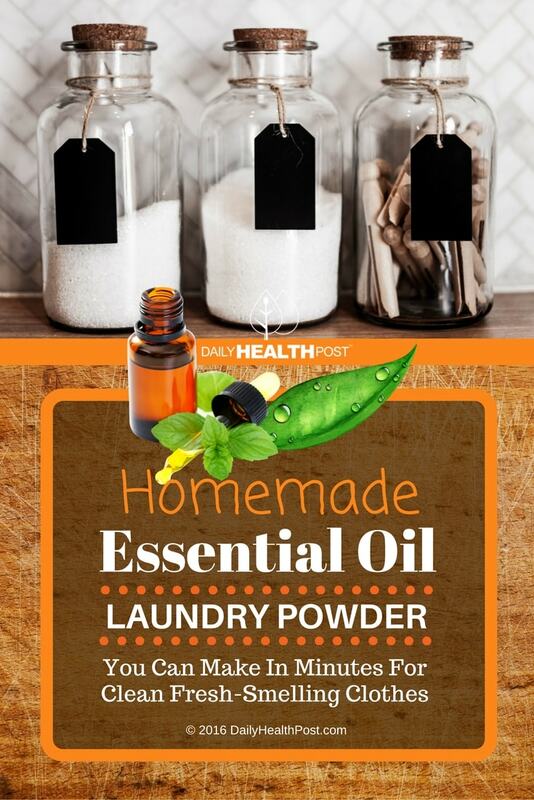 The fun part about making your own laundry detergent is that by using essential oil for fragrance and killing germs, you can choose the one(s) you like and have different scents for different items you wash (e.g., a floral for delicates and mint for linens). Rock salt (sodium chloride) has been used for hundreds—perhaps thousands—of years for cleaning. It’s inexpensive and easy to find, a scouring and brightening agent, and is effective in removing stains. Blend essential oil with salt until well mixed. Use one tablespoon of this mixture per load of laundry. Place in washer drum and start water to dissolve before adding clothes. Enjoy your clean, fresh-smelling, non-toxic clothes.